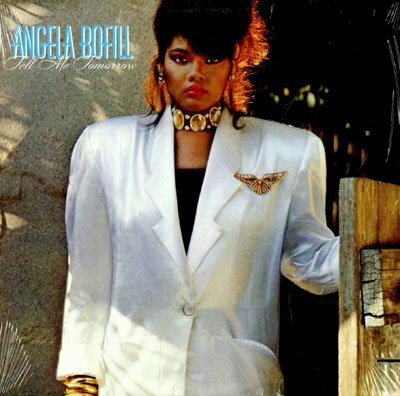 I remain a fan of the beautiful Bronx native and doleful singer, Angela Bofill. Another forgotten song post a couple of years back hopefully attests to that fact. No surprise she landed on me during the late-70s, and kept me hexed through much of the 80s. Female songstresses with robust voices like Angela’s, Minnie Ripperton, and Phyllis Hyman had a transfixing affect on more than a few of us listeners during this period. Each handled soulful ballads and uptempo dance numbers with ease by voice alone. None of the current pyrotechnics, light-shows, or overly stagey dance choreography of contemporary singers need apply. Just them and a microphone could hold an audience spellbound. Sadly, each would have their singing careers cut short. Lives, too, for Minnie (cancer) and Phyllis (suicide). Only Angela is still with us. Admittedly, I adored her work on the GRP label (Grusin/Rosen Productions). Her later stint with Arista Records, not as much. Not to say they were bad, no. She just needed a good producer who’d tailor the song selection and arrangements to a style that lent themselves to her strengths as a singer. She finally got that from the label in 1985, her last with Arista, when the great George Duke took her under his wing. Her only collaboration with Duke, Tell Me Tomorrow, produced the last of my favorites for the singer. More a mix of the R&B cuts aimed for radio play of the time instead of the Jazz Fusion ballads that initially snagged me the previous decade. Still, the title track and my favorite cut of the entire album, Still in Love, retained those characteristic qualities. The slow soulful jams others attributed to the Quiet Storm1. I’ve no doubt George Duke brought in the traditional Japanese stringed musical instrument, the Koto, for just the right sound and effect to accompany Angela on this. It’d be like him. When you hear its distinctive notes on the song’s instrument backing, you’ll recognize the Koto, and how well it worked. Composed by Derek Bramble, the song still takes me in all these years later. Oh, that voice. Not to shortchange his influence or artistry, the late-George Duke (January 12, 1946 – August 5, 2013) was his usual multitalented self. He would perform keyboard, synthesizers and background vocal, along with his stirring arrangement of the song. Beautiful and tender, this was Angela Bofill and George Duke at their best. I remember Bofill! Wow. This takes me back. I used to live in the Bronx and she was quite big at the time. Her songs were always playing on WBLS and 92KTU. If I recall she suffered a stroke but bounced back. She has an amazing voice and sound.